As mentioned above, I’d had virtually no exposure to the universe I was intending to play in, bar two movies so I had to think on my feet. What do I know about the universe? Well it looked to be based in conjunction with our own timeline so that’s a start, and there was absolutely bucket loads of occult background to the movies, (more so in the comics) so that was something I could use. I had to quiz Ager on how the game would play and what sort of vibe he had in store as that would colour what sort of character I’d want to play as. I’d just finished the Grognard episodes of Call of Cthulhu (shout out to Dirk & Blythy) so was stoked to hear he had a much less action orientated game planned and was more geared toward horrific crawling existential dread. So not only did I not have to remember any over complicated rules involving 100 sided dice and endless charts, but I could also legitimately raid my love of HP Lovecraft’s works for my character. Score. So, what was I to do? One thing I loved about the movies and now the comics is everything is entwined with the real world, but the ties were usually bad news, Nazi’s, Rasputin, I didn’t relish the thought of an ongoing campaign playing something along those lines, so what then? I needed someone pretty well known, someone who had an air of mystery, who wasn’t inherently full on evil and who would be fun to play. Lord Lucan, real name Richard John Bingham, 7th Earl of Lucan, was the one. This guy disappeared one night after killing his child minder and attempting to kill his wife, body was never found, but the guy was a rogue, a jet setter, gambler & race car driver, why would he flip out and attempt to murder his household? What if he didn’t………. Undertaking a myriad of invocations regularly on his own property now, much in the vein of Charles Dexter Ward, the British authorities were already gearing up to remove him, not only was there someone proficient enough to drastically change the fabric of space time within the British Isles, it was one of their own, this clearly wouldn’t stand. Midnight, 7th November 1974. A black ops unit made silent entry to Binghams property, exits were covered, and a temporary HQ was set up in the back of a blacked out 1970 Range Rover 800 meters south of the target. The rest of the family were in bed and had been for several hours, the house was cold, dark, and silent. For all the ops team knew, Bingham was fast asleep next to his wife. Bingham was at this point, locked away in a vault of the property, having invoked the presence of something which wasn’t all that keen on giving up its name, but did advise that Bingham should be aware that his house was currently under attack, and that the outcome would not be favourable whichever route he took from this room. It was however able to advise him on the various skeins of fate, on the bond that it would allowed to return from whence it came. 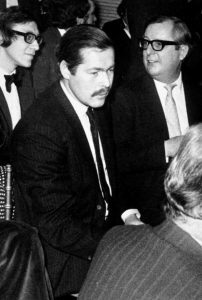 A Deal was struck, hell was unleashed (albeit temporarily and only long enough for Bingham to make good his escape), the black ops team had nothing in place to combat a minor deity from the court of Belial, shots were fired, people died, Bingham escaped and by the cold light of day, there was nothing left to do but to declare him a murderer, bribe his wife and begin a 20 year long covert man hunt. Bingham only turned up in the late 80’s after being sold out by a fellow scholar of the unknowable arts in Providence in a mercenary attempt to save their own skin. It was only by luck the BPRD stepped in at the last minute, offering Bingham a deal in the same way he’d offered the daemon a deal all those years ago. Serve, or perish. So there we are, my character, who he is, and why I chose him. Next time I’ll go in to the actual creation of who he is in the game, his motivations, equipment, everything that makes our Richard tick, and tock. This entry was posted in Dungeonpunx, Dungeons And Dragons and tagged BPRD, gurps, hellboy, rpgs by Paul. Bookmark the permalink. 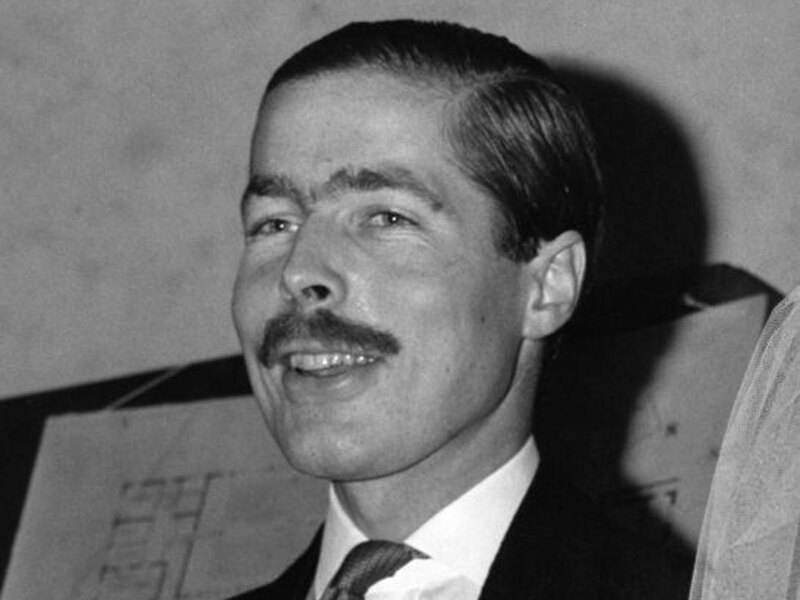 Lord Lucan as a TRVE KVLT character who disappeared after some occult activities is a masterstroke. Chapeau!